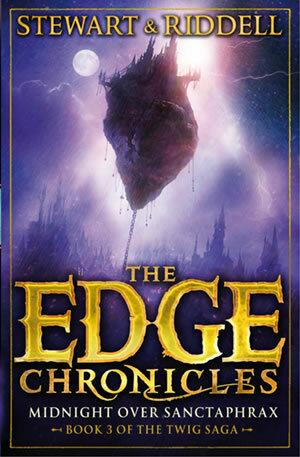 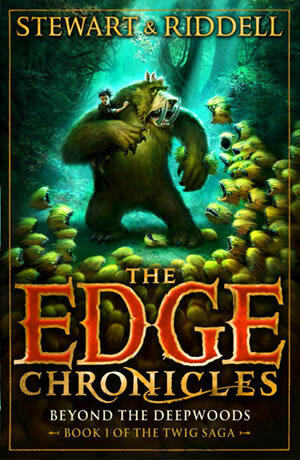 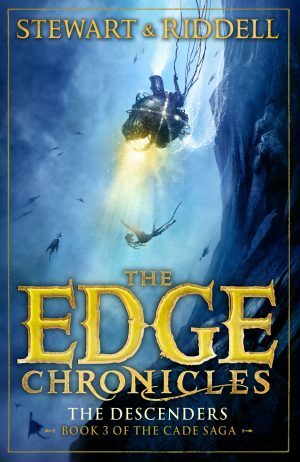 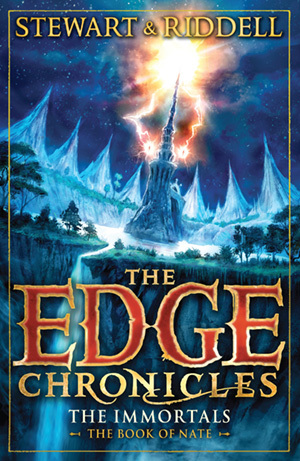 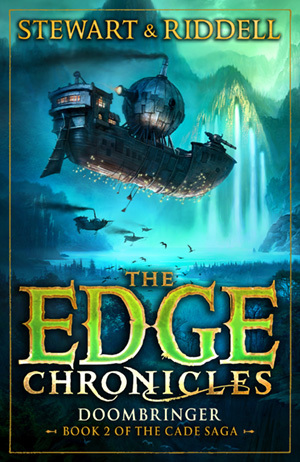 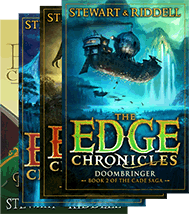 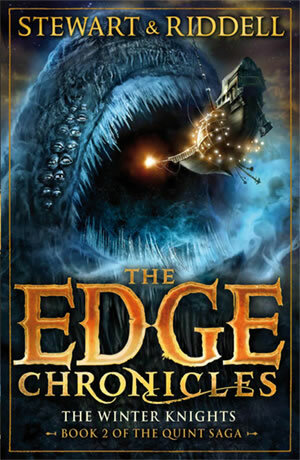 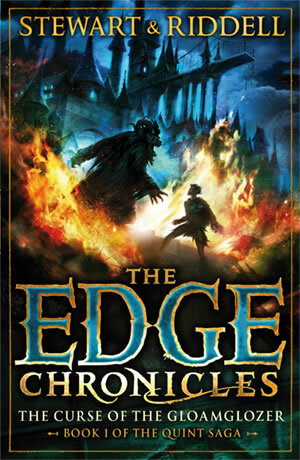 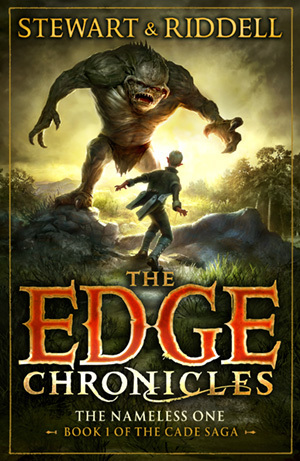 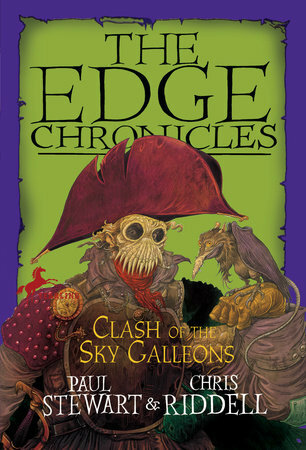 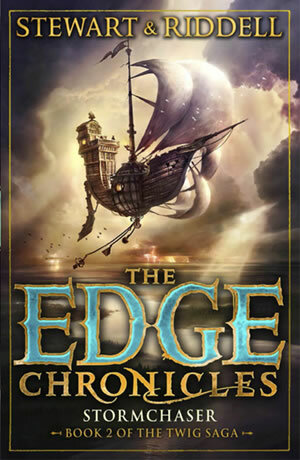 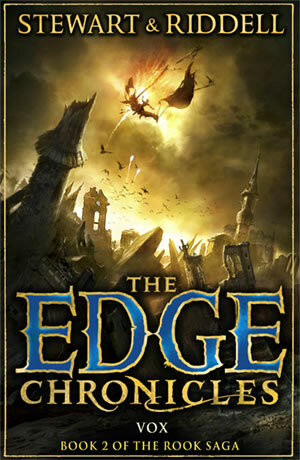 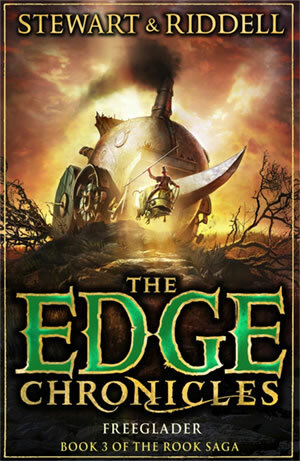 The Clash of the Sky Galleons is the third book of the Quint saga – the first trilogy in the Edge Chronicles. 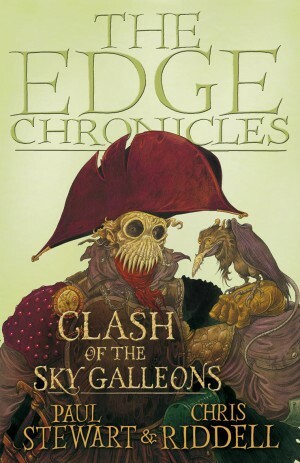 Young sky-pirate Quint Verginix’s family was devastated when his mother and brothers were killed in a vicious arson attack. 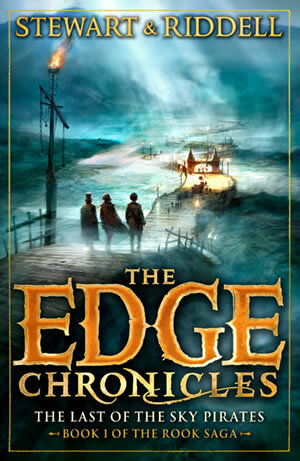 Now the treacherous quartermaster responsible, Turbot Smeal, has returned, and Quint and his father are determined to take revenge. 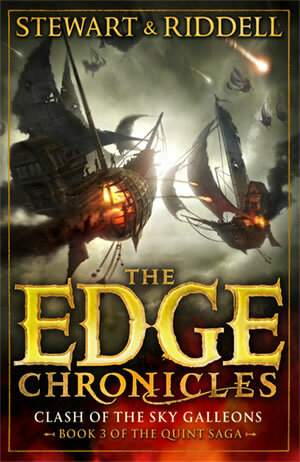 From the deserted quarries of the Edge Cliff to the lethal glades where flesh-eating bloodoak trees await their next meal, Quint’s deadly pursuit can only end in a clash of the sky galleons.